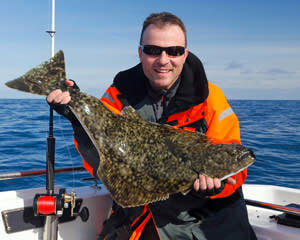 This Alaskan halibut fishing tour is one of the finest in the nation. When we say this fishing spot is swarming with prize catches, we mean it! Just last year, 76-year-old Jack McGuire caught a 482-pound Pacific halibut right outside of Juneau. That’s the largest ever caught in North America. In fact, it’s one of the largest ever caught, ever! Cast off from Auke Bay, a pristine fishing village swarming with tons of marine life including humpback whales! The spacious vessel is heated for those colder days and comes equipped with a washroom and hydrophone. Spend a full day casting your line with provided equipment and bait. Reel in some trophy-tier halibut! Home to many a humpback, Auke Bay’s waters offer a bit of marine life sightseeing to boot. Keep your eyes peeled for whales, porpoise, sea lions and more! Wyatt with Moore Charters took us where the fish were. He expertly helped the four of us catch our limit of halibut and almost had limits on salmon, mainly Coho. We had an amazing day that was topped off when we spotted a pod of Orcas that was swimming along side our boat.